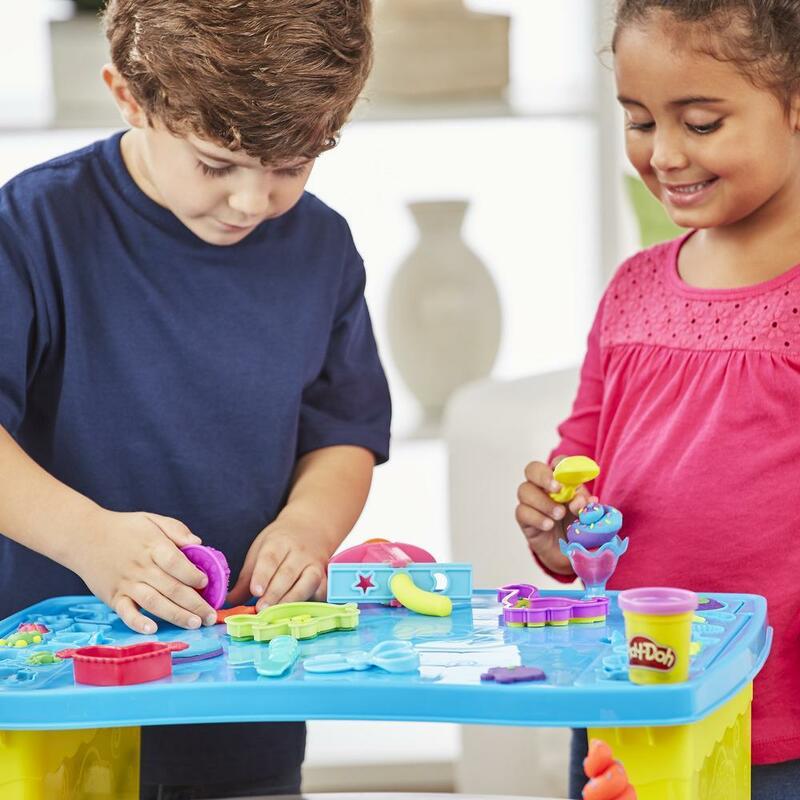 Enter the imagination zone! 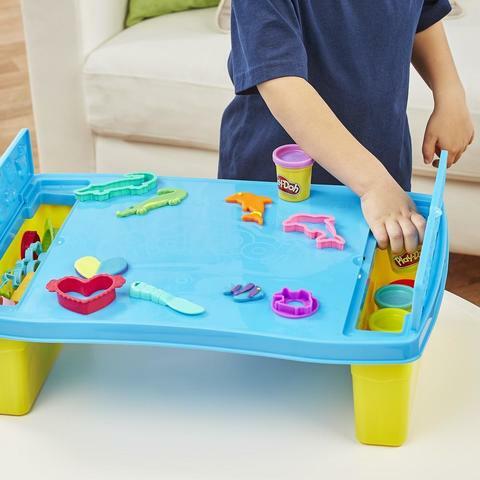 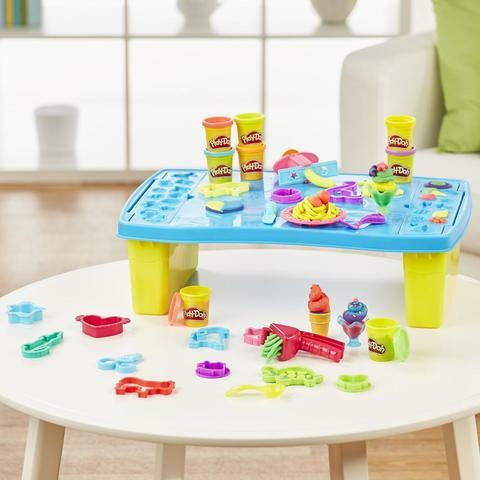 With this handy table, kids have a place to play and store their Play-Doh cans and tools. This all-in-one creative activity table is great for kids to explore and share the silly fun together. 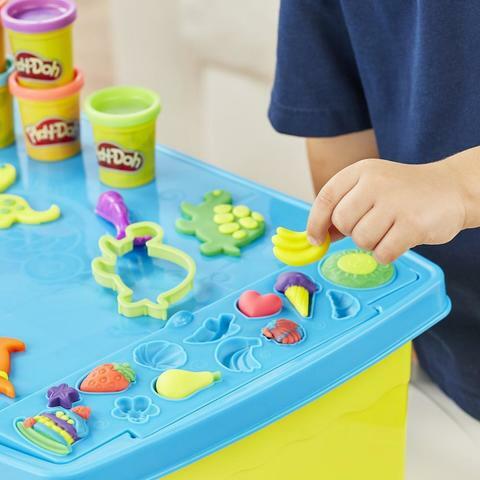 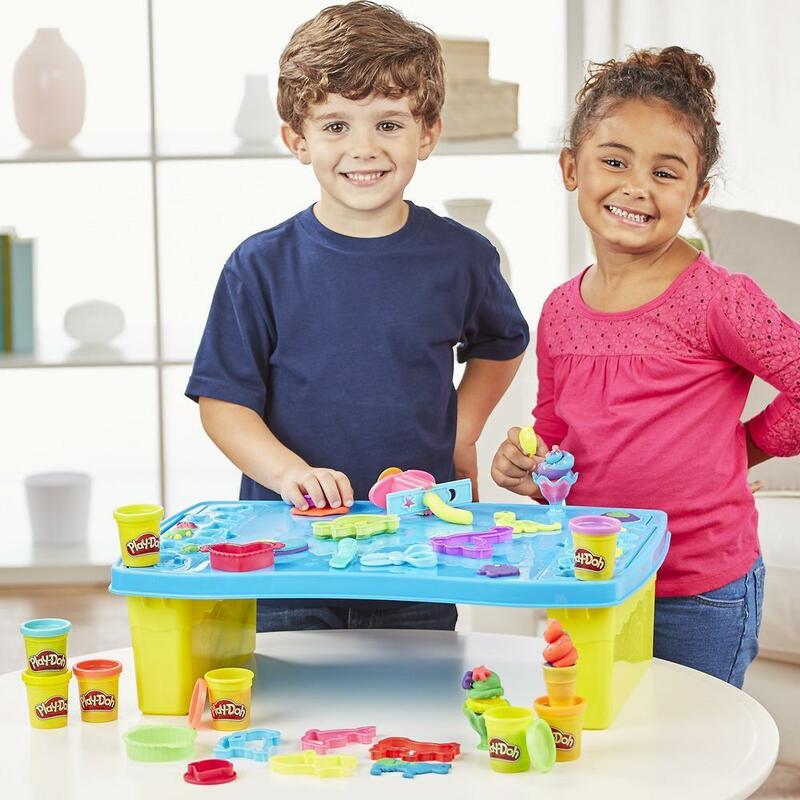 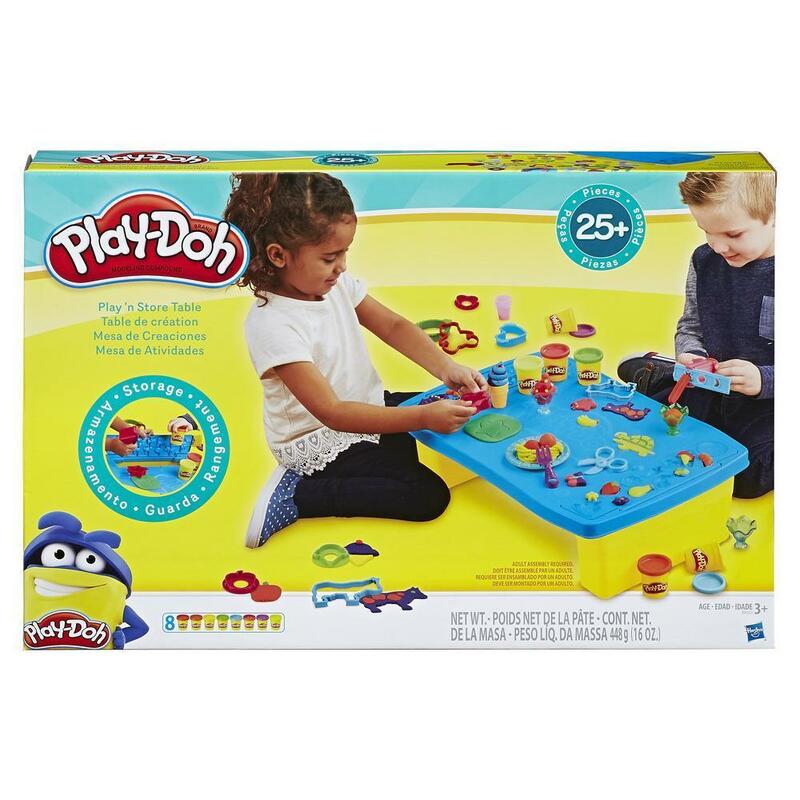 With built-in half-molds, 8 Play-Doh cans, and more than 25 tools, there's plenty of hands-on play to go around! 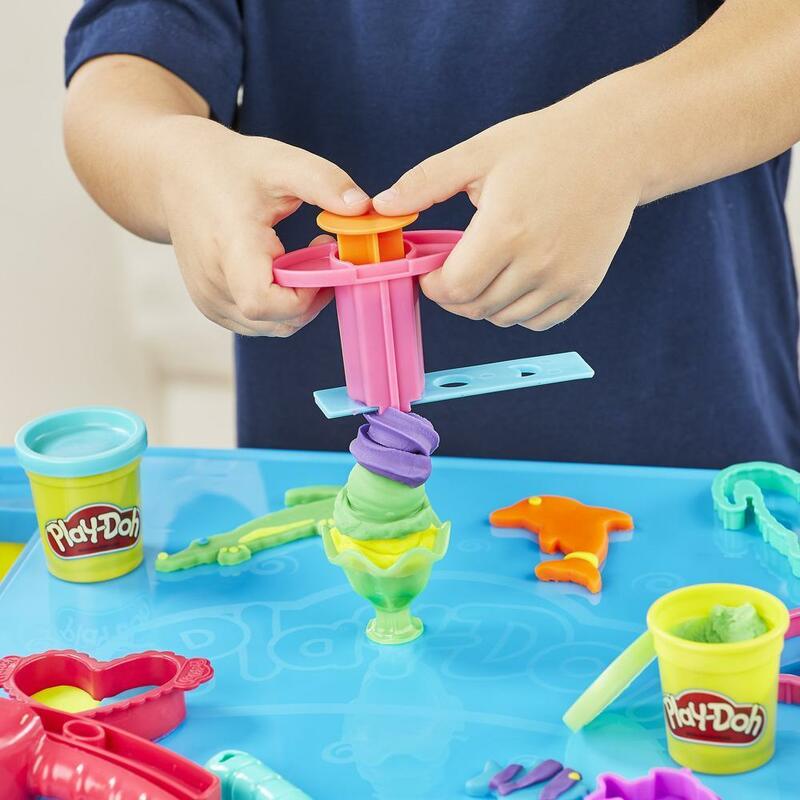 Make basic shapes and animals with the cutters, whip up some Play-Doh ice cream treats with the extruder and dishes, and so much more. 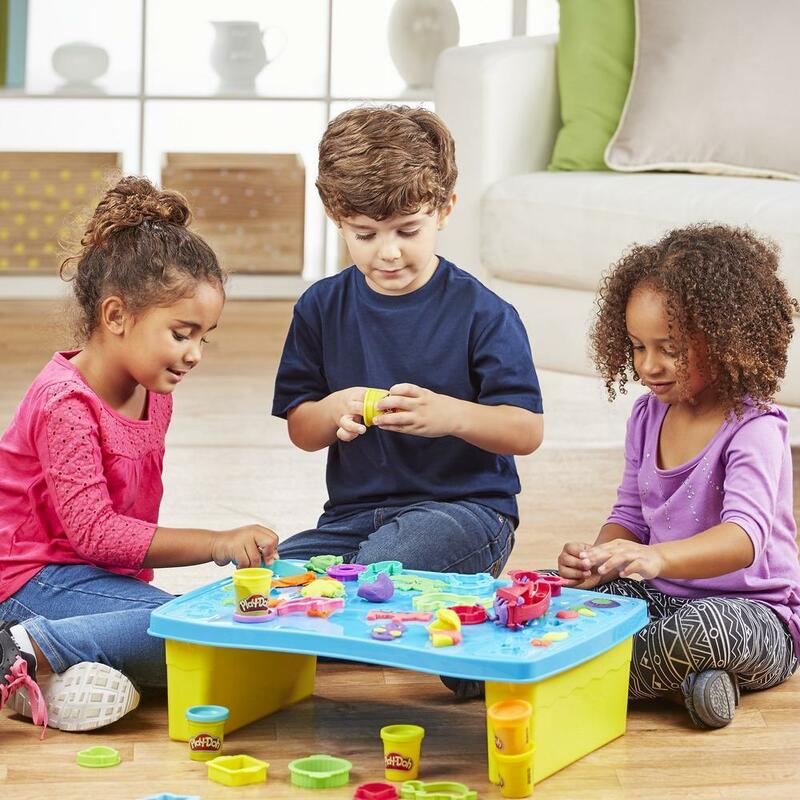 When the fun is done for the day, drop the tools and cans into the hinged doors for easy storage! 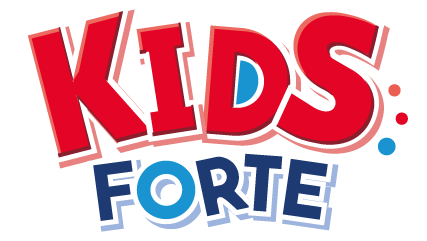 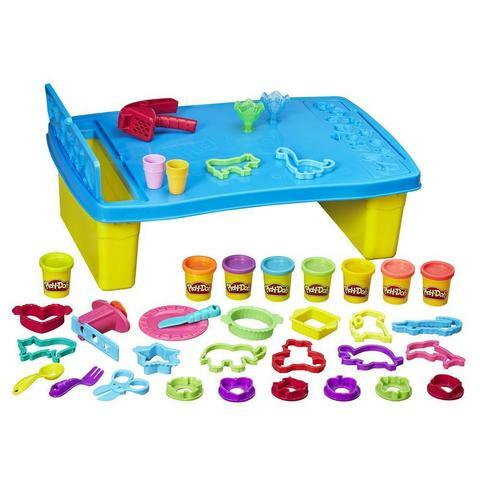 Includes Play 'n Store Table, presser, scissors, 9 animal cutters, 4 shape cutters, 6 stampers, 2 dishes, 2 cones, extruder with rail, plate, knife, fork, spoon, and 8 cans of Play-Doh Brand Modeling Compound.